In Russia you even nowadays can meet very rare BMWs. What is red dot in sky in second photo? Is it some kind of UFO thingie? Even in Russia we can see those cars? Wow! I thought “great” countries like United States only would have those kind of cars. Thanks for the insight! I wanted to say “picture” not “piture” damned keyboard! What are the model names of those two BMWs? Why can my posts not be seen? Russ,Ian, just imagine – we even have escalators and TV`s! HEY IT’S TUSHINSKIY AERODROM . I live near that place. Escalators? No Way!!! I don’t believe you. You mean elevators, right? Escalators are too high-tech of a technology for Russia. Ну а про телевизоры я вообще ничего говорить не буду. Are comments on this site moderated? If I include links in my comments, the posts either show up late or not at all. For this article I had some links to Luigi Colani’s BMW protoypes, and also his Lada Niva redesign, but I guess you’ll have to google those yourself. “Are comments on this site moderated? If I include links in my comments, the posts either show up late or not at all. For this article I had some links to Luigi Colani’s BMW protoypes, and also his Lada Niva redesign, but I guess you’ll have to google those yourself. Thousands of peoples in Russia like the old-timers like at that photos. I suppose not only in Russia. Как-то вообще непонятно, о чем тут шум на этом сайте. Типа рассказы об ужасной России? The car in question is a BMW/EMW 340 built between 1949-1955. Apparrently there was panelvan version as well. Hello there. I am Scott Pettit, President of the Z Series Car Club of America. I hope that you do not mind me joining your forum. 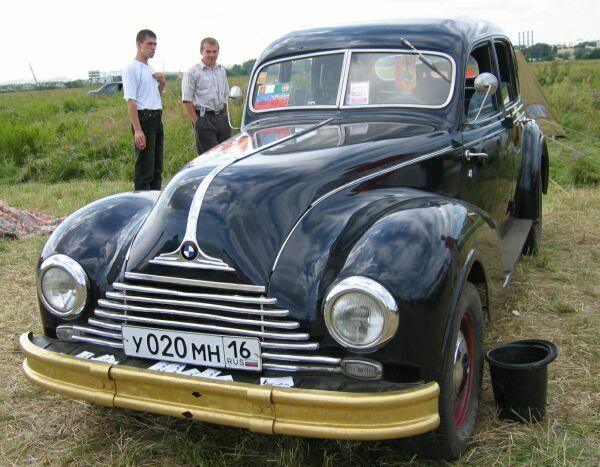 The first BMW shouldn’t be too uncommon to people living in russia. BMW at the time before the war had a factory in Eisenach, which became eastern german territory after WW2. 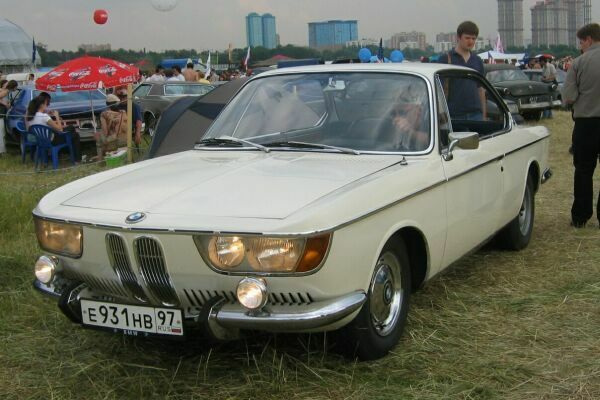 The car produced after the war there was named EMW (Eisenacher Motoren Werke) – and the most visible change was the “change” of the logo being red-white instead of blue-white (as it is with BMW). From the outside, the BMW and the EMW are the same (BMW named it’s model 512, I think). EMW have been very common as police cars during some time. They eventually had to quit building those cars because BMW in western germany owned the rights and somehow was able to put pressure to the eastern german government when the GDR (German Democratic Republic) wanted to sell EMWs to western germany, too. There are, considering the total amount of BMW 512 and EMWs built, still several cars of the time then running. It is reported that on Ruegen, the largest island in germany, one EMW was used by the firefighters until the collapse of the GDR. I could provide you with pictures of this car if you’d like!